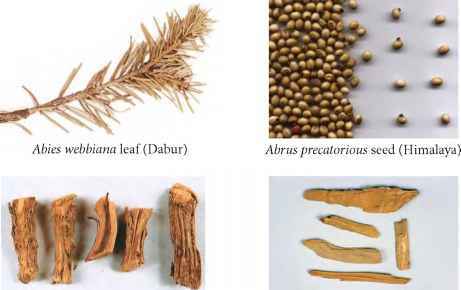 Ayurvedic ► Tumbaaka (provisional synonym). Folk ► Gangaa Tulasi, Vilaayati Tulasi, Bhunsari. Action ► Carminative, antispasmodic, antisoporific, antirheumatic, anticephalalgic, lactagogue. Used in catarrhal and uterine affections, parasitical cutaneous diseases, epistaxis. The plant gave lupeol, lupeol acetate and friedelin, leaves and flowers gave campesterol and fucosterol; roots contained beta-sitosterol, oleanolic and alpha-peltoboykinolic acids. The plant gave an essential oil containing l-sabinene. l-limonene and azulenic sesquiterpenes as major constituents. The oil inhibits the growth of Gram-positive and Gram-negative bacteria, particularly, Staphylococcus aureus; also exhibits fungitoxicity. Alcoholic extract (50%) of the whole plant exhibited hypoglycaemic and anticancer activity.